With Writing for Minecrafters: Grade 3, learning time feels more like game time! Writing for Minecrafters: Grade 3 features well-loved video game characters and concepts to encourage third grade writing practice. 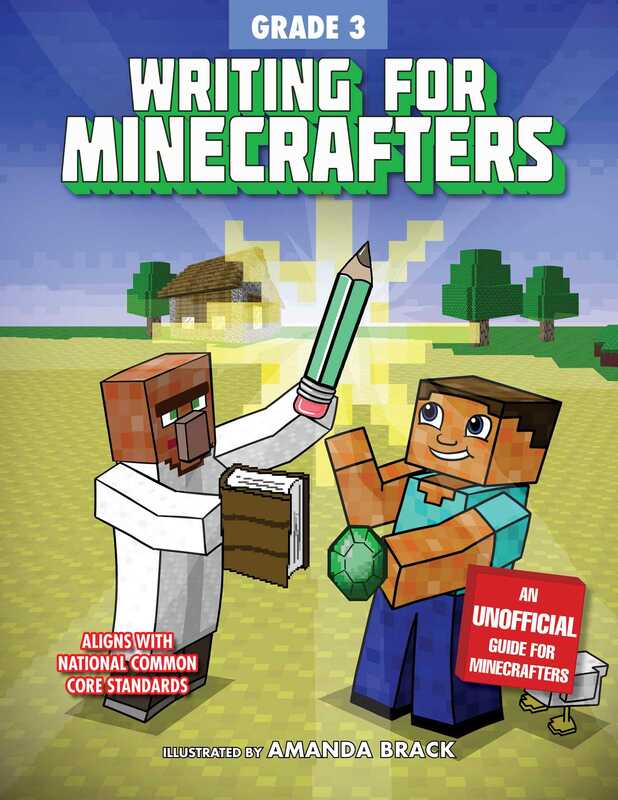 With Steve, Alex, zombies, creepers, and villagers to inspire them, young Minecrafters will be eager to fill the pages with their own words. Colorful art and engaging prompts invite kids to expand their vocabulary, practice proper grammar and capitalization, and write for different purposes and audiences. Each game-themed writing activity is designed to reinforce classroom learning and help kids meet the National Common Core language arts standards. Reinforce classroom learning and help them meet the National Common Core language arts standards with this kid-friendly tool. Writing for Minecrafters is the best way to get all kids excited about writing. This educational series is created especially for readers who love the fight of good vs. evil, magical academies like Hogwarts in the Harry Potter saga, and games like Minecraft, Terraria, and Pokemon GO.